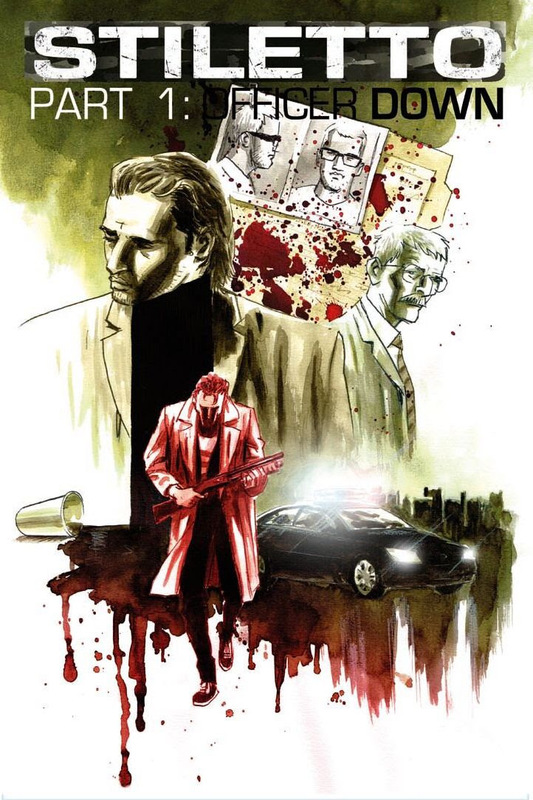 Lion Forge gives comic book fans another reason to be thankful this holiday season, with the news that the 2013 hard-boiled crime noir series Stiletto, from writer/artist Palle Schmidt, will be translated and expanded for release in the United States next year! Additionally, the St. Louis–based publisher of comics for everyone unveils a brand-new storytelling format with this series to help expand the serialized reading experience, with three action-packed 48-page issues at just $5.99. This will give fans and retailers a low-risk way to jump on board with a brand-new original series! In addition to value pricing, Lion Forge will offer the first issue of this limited series as FULLY RETURNABLE to retailers! What appears to be a gritty police drama takes unpredictable turns as our heroes race against the clock to solve this double homicide and flush out the mole that puts them all at risk to the criminal underworld. Stiletto will be solicited in Diamond’s January-dated PREVIEWS catalog for release in March 2019. This three-issue limited series features a brand-new expanded 48-page reading experience at a value price of $5.99.